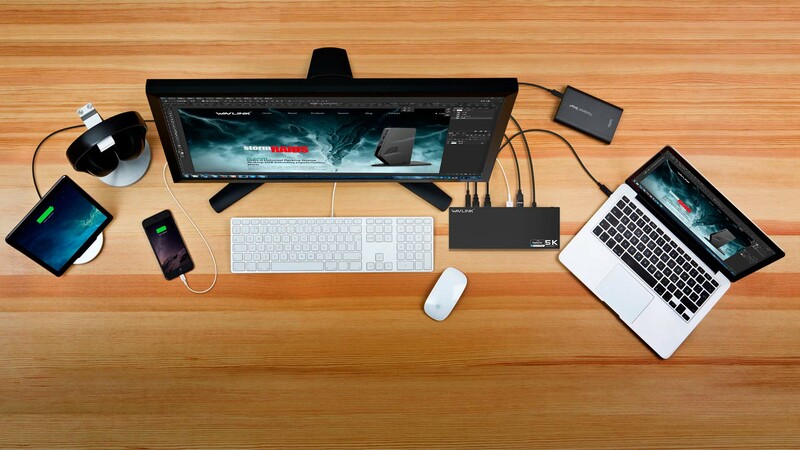 15 ports of incredible connectivity give you all your needs in a sleek, compact design. 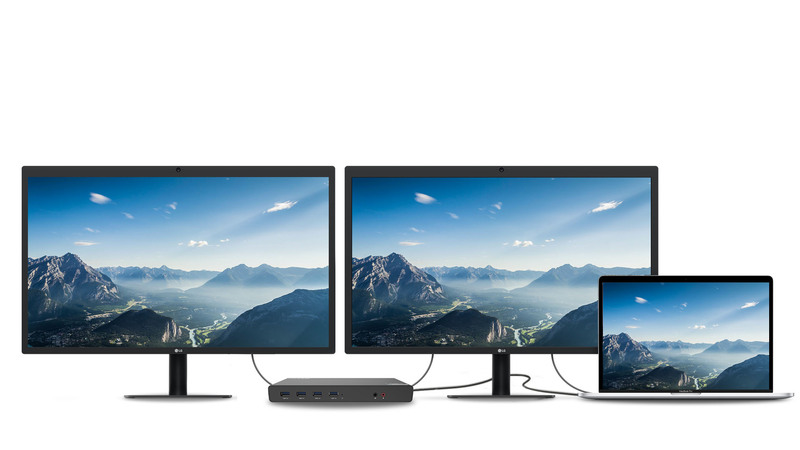 Wavlink UG69DK1 supports dual 4K ultra 5K HD displays with one single cable, it will greatly help you work on high-resolution works, graphically intensive images, video editing, CAD drawings, medical images and so on. 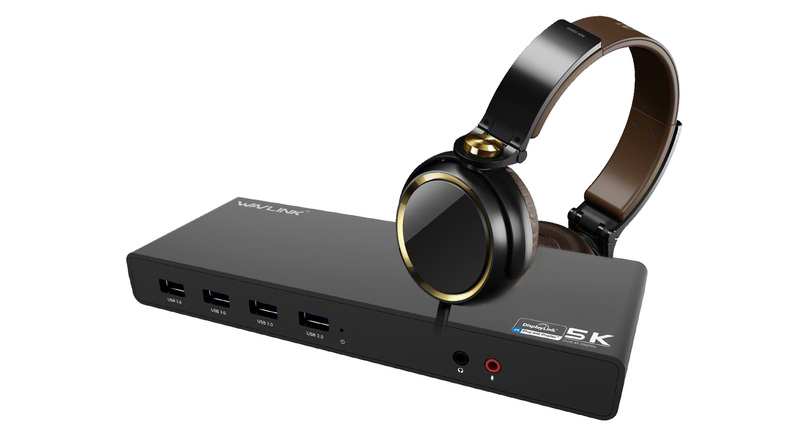 WAVLINK USB-C ultra Universal Dock is a perfect companion for users who desire additional ports. 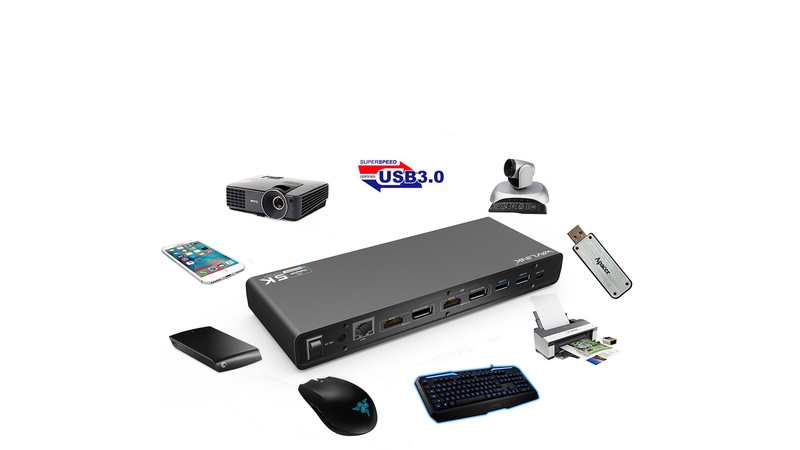 SuperSpeed USB 3.0 provides up to 5Gbps data transfer speeds, which is 10 times faster than USB 2.0. 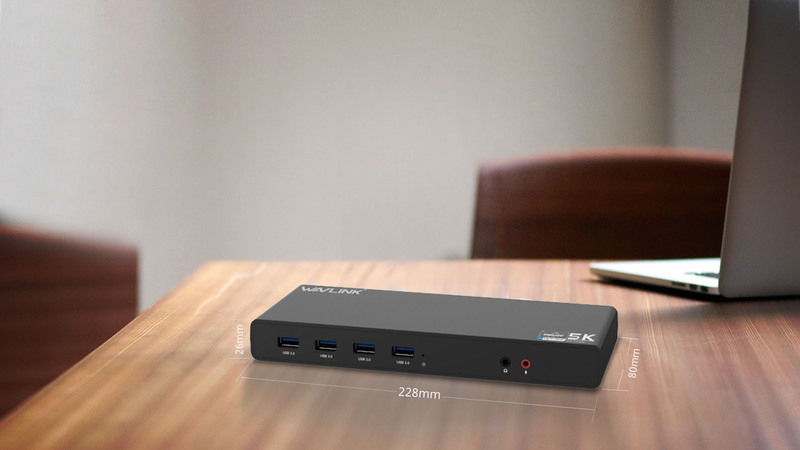 The WAVLINK UG69DK1 features 6 USB 3.0 ports, allowing for SuperSpeed data transfer between peripherals. 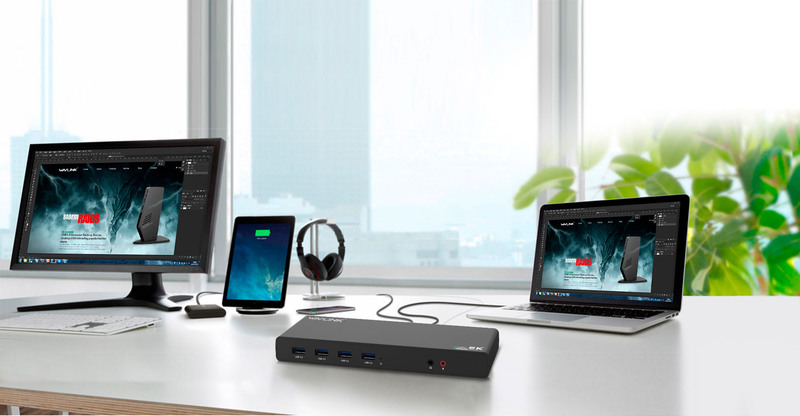 The WAVLINK UG69DK1 allows you easily connect various devices at once, helping you keep your workspace organized and efficient at all times. With separate microphone input and amplified audio output, you can enjoy crystal-clear conference calls or any other project that benefits from having your voice heard.